Mobile apps have become ubiquitous. It doesn't matter whether their phone is driven by Android or iOS, mobile phone owners are increasingly passionate about apps. Of course, Facebook, Google and similar huge corporations offer apps for their social networks, email, storage and other offerings, but beyond the obvious, there's a wealth off downloadable apps that provide a broad range of services and incredible features. If you want to book a hotel, there's a mobile app for that. Need to track your schedule? There’s a mobile app for that. If you want to meet someone online, there's a mobile app for that. And if you want to learn to meditate or learn a language, there's certainly a mobile app for that. Fact is, whatever you can think of, these days there's very probably a mobile app that will help you do what you want/need to do. Do all apps make money? While there are a lot of ‘vanity’ projects (where someone builds a mobile app just for the sake of building it) which are generally offered free of charge, the vast majority of developers build mobile apps that have one underlying purpose - to make money. How do you make money with a mobile app? Apps make money both indirectly and directly. 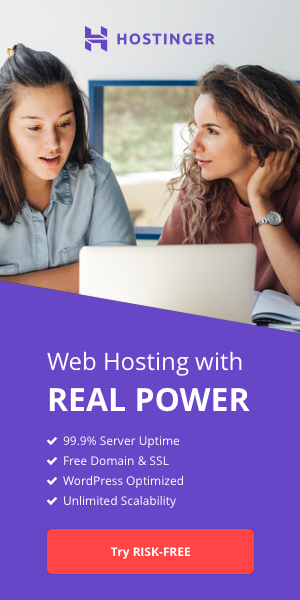 For example, if a web hosting provider offers a mobile app that gives mobile phone users access to their hosting servers, this level of convenience is very probably going to prompt a potential customer to use that particular provider’s services over another’s. That means the app is responsible for indirectly generating revenue. Likewise an app for an online store/ecommerce site isn’t generating revenue itself per se, but supporting another revenue model driven by the store/site. But what about making money directly from a mobile app? How do you do that? Of course, we are all familiar with paying for a mobile app from the Play Store or App Store, and this generates money for app developers. However, you might be surprised to know that Google takes a whopping 30% of the price of any app bought from the Play Store. Likewise for Apple and apps in the App Store. While 70% goes to the developer, unless the app is a big hit and there are millions of downloads, he/she is probably not going to be able to quit his/her day job. To make serious money a mobile app developer has to consider an number of approaches and choose the right one for his/her product/service. What follows then (in no particular order) are seven ways to make money with a mobile app beyond just selling it on Play Store and App Store. Rather than charging a fixed fee for a mobile app, both Play Store and App Store give developers the option to make users subscribe for services. This means they pay a fee on a monthly or annual basis. The meditation app Headspace uses this approach. Rather than providing a fixed set of services, Headspace is continually updating what it offers. For instance, they might update the app and offer a new meditation course to counter ‘anxiety’. Rather than people having to pay a fee for any new offerings, the subscription fee covers everything. Subscriptions are also good for apps where multiple users and ‘teams’ are involved. While Any.do could just be considered another calendar app, it allows you to assign and delegate tasks to people you work with (or others you want to share tasks with). This is enough to warrant a subscription fee rather than a fixed single payment. To drive people to their apps, and then pay for them, many developers offer free apps with ‘Premium’ versions. Any.do is again an excellent example of this. Any.do offers a fully functional free version of its mobile calendar that is genuinely good - try it out. However, once I personally started using Any.do, there were odd occasions where I thought, “Wouldn’t it be great to…” - and that’s the eureka moment that drives people towards subscriptions. For instance, with the free version of Any.do users can attach files to a task they send to a team member, but it can only be 1.5 MB per file. The subscription version offers 100 MB per file. The amount people can pay for a subscription service can be substantial - and of course it’s ongoing income. At the time of going to press a ‘Premium’ Any.do subscription cost $2.99 per month (or $26.99 per year). Imagine this is your app… Multiply $2.99 per month by a million users and… well, it might just change a few things! Obviously, people would prefer to download free apps rather than pay for them. As a result, many developers choose to offer apps free of charge, but include information on other ‘at cost’ apps they have created. So, you might download a calendar for free, but you might get information on an exercise tracker that costs money to download. In business you might consider this a ‘loss-leader’ approach, but it has its problems as far as users are concerned. It really depends on how hard a developer is trying to make a sale. Too hard and there’s a danger that an offer might be too intrusive. Get the level right though and this could be a good approach to monetizing your app. Similar to In-app Purchases, In-app Advertising is exactly what it says. An app is offered free of charge, but generates income from placing adverts on some of its screens. Such adverts could lead anywhere, meaning you might go into an app one day and be presented with an advert for health insurance with a link to a website. Obviously, when they see such an advert the first thing that comes to people’s mind is “How safe is it?”, and it doesn’t matter how good the app is, there’s always going to be that nagging doubt that might force a user to ‘delete’ just in case someone is reading their private data. ‘Less is more’ at it were, and limited advertising might be OK for your app. I personally hate In-app Advertising, but others don’t seem to care if the app they want is free. When people think of generating revenue with commissions, their thoughts turn to websites rather than apps. Almost everyone has booked a hotel room online through sites like Booking.com. You look at the room you want, they book it and get a commission from the hotel. There’s no reason why this should just be a website model. One commission/sales app you almost certainly have firsthand experience of is Uber. It has a website, but its business is done via a mobile app. If you have a service-based app perhaps this model is for you! If you think keeping you app free is important, Email Marketing might be a good approach for you. Once downloaded, some apps give you the option to register for update notifications, information about the app, discounts, competitions, ettc. That process usually requires someone registering with an email address. Once you have a user’s address it is acceptable to send details information alongside details of products and services you might offer at cost. It is important though to you highlight a user’s ability to unsubscribe from future emails. The same concept applies to SMS marketing, but using phone numbers rather than emails. While I might forgive the occasional ‘spammy’ email, someone pestering me with unwanted SMSs might be subject to my ire - use common sense as far as SMSs are concerned! If your app is good enough for you, it’s possible that it might be good enough for someone else. You might therefore offer your app’s code for sale plus customisation - meaning someone could have the exact same app as you have placed on Play Store and App Store but with modifications (such as their company’s name, products, etc.). “White labeling’ in this fashion can prove profitable! Likewise, if you have developed your own app, you could offer to develop a unique app for your users. Alternatively, you could advertise on behalf of your developer and take a commission on app development projects he/she receives. We all know that AdSense is the Google product that has helped millions of website developers monetize their websites. Until recently (Sept. 2018) there was another option - Adsenseformobileapps. RIP - sorry to see you go. Providers like Leanplum, Braze and Swrve do however offer similar services, but with differing features. Do you know of any other ways to monetize a mobile app? Let us know! ClickseeDesign can cater for all of your mobile app design and development requirements. Click here for more information. 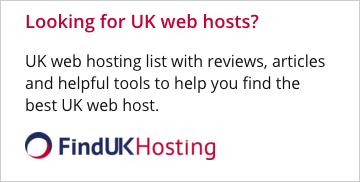 HostSearch.com's Editorial Team prides itself on bringing you the latest web hosting news and the best web hosting articles!